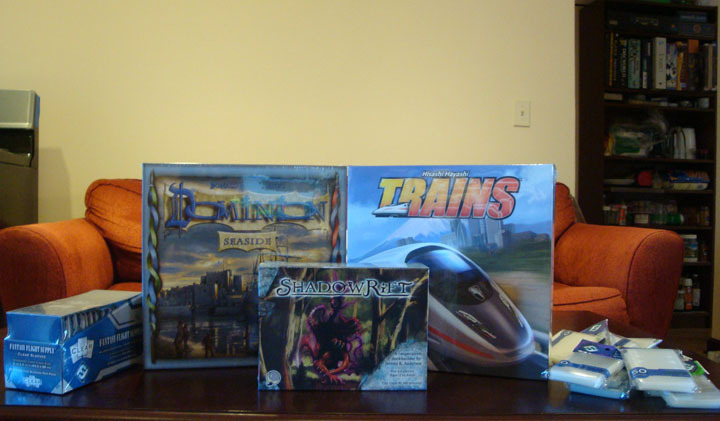 This week I received a shipment of games I had ordered. So far, I've played each of them once. I'll need a few more tries before I can get a good enough sample to rate all of them, but first impressions are that each one is reasonably enjoyable. 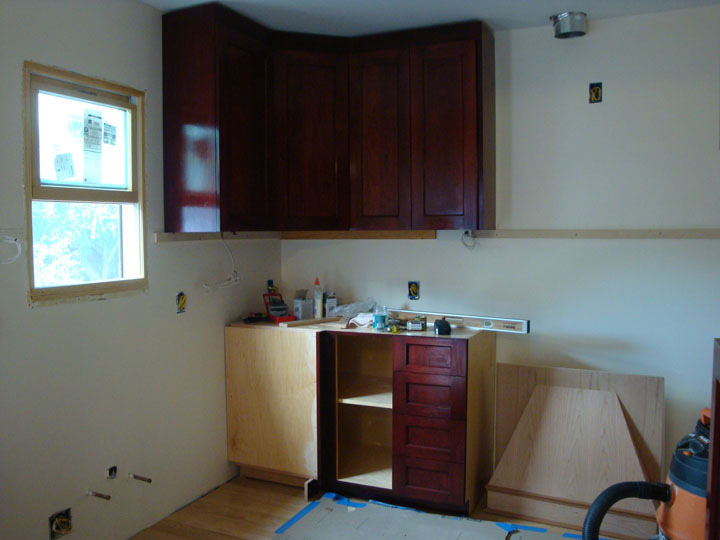 The finishing on the cabinets is proceeding well, and the installation has begun. 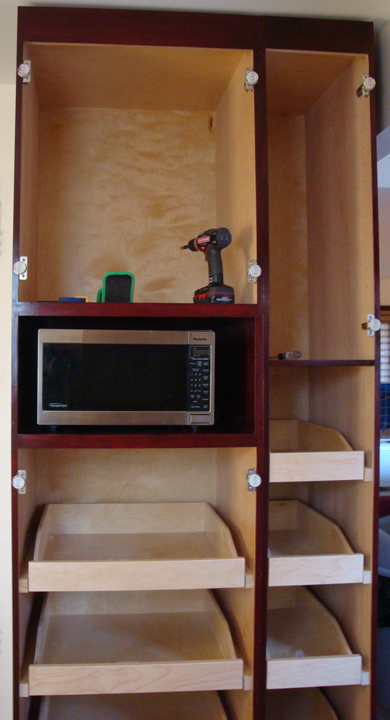 The first to be installed was the pantry, which allowed us to get the microwave off the dining table. The corner cabinets were installed next. I'm really excited at all the storage space I will have. Let us know how you feel about Trains after a few plays, because I'm pretty curious about that one.